Greetings, El Gore readers! Last time I wrote for these guys I reviewed Eyehategod’s In the Name of Suffering. Well, perhaps it’s the aficionado of awful in me, but now I bring you yet another taste of a truly dark, evil, raw pool of vermin and filth. Namely, the latest piece of work from what I consider to be one of the best, if not the best contribution that Spain has to offer when it comes to extreme music: Teitanblood. And the album? Death. I’m most likely showing my colours by reviewing and promoting a band that’s so near home, but I honestly think that this band touches and creates in a very unique manner the most morbid and down tuned Black/Death Metal primitivism with brush-strokes of Doom that I’ve had the chance of running into in the past years. The first time I heard of them was with their previous album, Seven Chalices. Just when I listened to the beginning, with Whore Mass and how it prepared the ground for Domains of Darkness and Ancient Evil, I knew I’d be coming back to this dense, raw, sinister, eerie, chaotic cloud of filthy, distorted, infectiously catchy riffs somewhat regularly. Hence, I discovered Death. One could say that after looking at Teitanblood’s works, the most prominent influences on display are those derived from the bands that established the foundations for Death and Black Metal, whilst still developing their own character in this border between the two genres. There are some parts whose influences are incredibly evident, but then, if you try to strictly compare Teitanblood with that influence, or compare those influences among themselves, you can make out Teitanblood’s own sound and structures. Regardless of that, I think that the filthy aura of sheer aggression and cruel darkness that this album irradiates, with its guitars, drums and the most evil vocals I’ve heard, is unquestionable. And the evolution that these guys have had over the years is also worth mentioning: each release is a more evolved version of the previous one in all aspects, while still keeping the essence that makes Teitanblood its own band. Exuding an old ancient evil feeling that comes across in everything they’ve done. This review was written by our freelancer Victor! Miley Cyrus meets Immortal: Winterball. Do I really have to say more? September is going to be an interesting month for the Luxembourgish metal scene since there will finally be two new long-awaited releases. 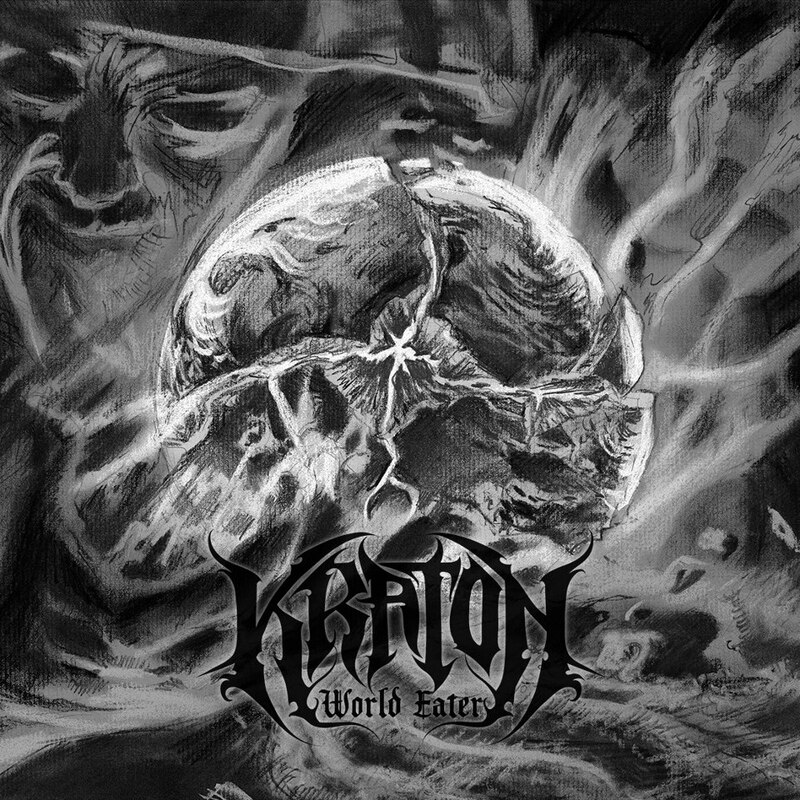 The first one being Kraton‘s second demo World Eater! After their first demo Ker, which was released in late 2011, the band has focussed on playing shows and writing new material. Let me just say upfront: the wait was worth the while! For those that don’t know what the quintet does, allow me to quote the band “our music is a blend of Death, Doom and Black Metal and everything else that fits our idea of creating a dark, gritty and organic sound”. In many cases when a band writes something like that, and you listen to their stuff…it sounds nothing like the description. Such is not the case with Kraton, since their music does indeed cover the above-mentioned elements in a very refreshing manner. The one thing that I had a hard time believing, but which is indeed true, is that the five songs have been recorded in a DIY live setup with all instruments being played simultaneously and the vocals recorded on top at a later point. My disbelief is easily explained: it sounds mindbogglingly amazing. Every single instrument can easily be distinguished in the mayhem that is World Eater, and sounds better than some professionally produced studio recording that I’ve come across. A special, albeit slightly sexist, mention to their female drummer who puts many of her male compatriots to shame with her precise play. Obviously I can’t finish this review without losing a few words about the, in my opinion, driving force behind Kraton: Boerdi, the voice of Luxembourg. My partner in crime, Luc, praised his vocal work before and I can’t do anything else but add another layer of applause on top of it. The guy’s timbre is impossible to mistake and his vocal range is nothing short of incredible, which he proves gloriously during these twenty-three minutes. On top of that, you should have no problems figuring out the lyrics after, at the latest, the second listen-through since his perfectly articulated growls and screams are a blessing to the death metal community. To sum things up, I’d claim that this record is not to be missed by death/black/doom metal fans or metal fans in general. Pay the band a visit on their Facebook page and get your first impressions from the song below. If you want to hear (and get your hands on) the new demo, you should go to Café All In in Luxembourg-City this Friday, where the band is hosting a listening/release party. See you there! Listen to this great song and watch the most epic metal video ever shot! Suicidal Black Metal takes on a completely new meaning. I finally got to check out the latest Omega offering after having the 7inch lay around for a couple of weeks. Omega are this awesome Blackened Thrash band from Greece and this is their 2nd official (not counting the demos which were not available to us mere mortals) release. As mentioned above it is a 7inch split single, the other band being Ravencult, also hailing from Greece. This split is limited to 500 with 100 released as splatter, an inlay has the lyric for each original song (each band plays an original song and a cover). The Omega song was written in 2007, I would dare say that it also was recorded back then as the vocal style is very different to what can be heard on the LP. Great song akin to an early Bathory sound (mainly due to the traditional Black Metal vocals), songs like Die in Fire or Sacrifice come to mind. The cover is a Zemial song, fits nicely on this split. Nothing to write home about to be honest. Ravencult are a band that (at least on this split) sound similar to Omega and early Bathory. The vocals are very generic Black Metal shrieks and screams. I would have probably enjoyed Ravencult better with a different vocalist. Honestly, I bought this split because of Omega and see Ravencult as a bonus. Their Hellhammer cover does not offer anything new either. All in all a nice addition to my collection. If you are new to Omega check their album out first, then get this split to complete the discography. The release is limited and to be obtained through a mailorder or ebay, if still available. This week I’m going to review a very fresh demo by a still rather unknown band from Finland. 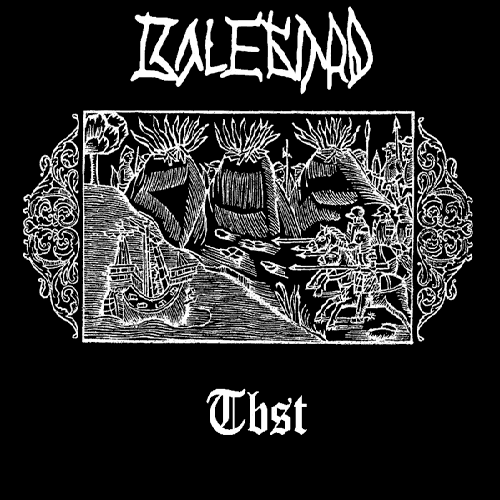 On September 4th Balegard released their second demo called Tbst completely for free via social networks and I decided to check them out. Let me begin by giving you a general idea about the genre: it’s black metal. They themselves call it “Tavastian Black Metal”, since lyrically it deals with the history of Finland…fair enough. I should say at this point that I’m not a huge fan of overly specific names for different sub-genres, but since it has no influence on the music itself I don’t really mind. Now, let’s begin, shall we? Since I knew about the band prior to this release, I was pleasantly surprised by the improved sound quality in comparison to their first split-demo Routakuu. Both demos are, as far as I know, entirely self-produced and self-mixed with little to no budget so it’s quite nice to see that the band has refined their skills in that department over time…something that makes this release quite enjoyable for a “clean sound” fetishist like myself. 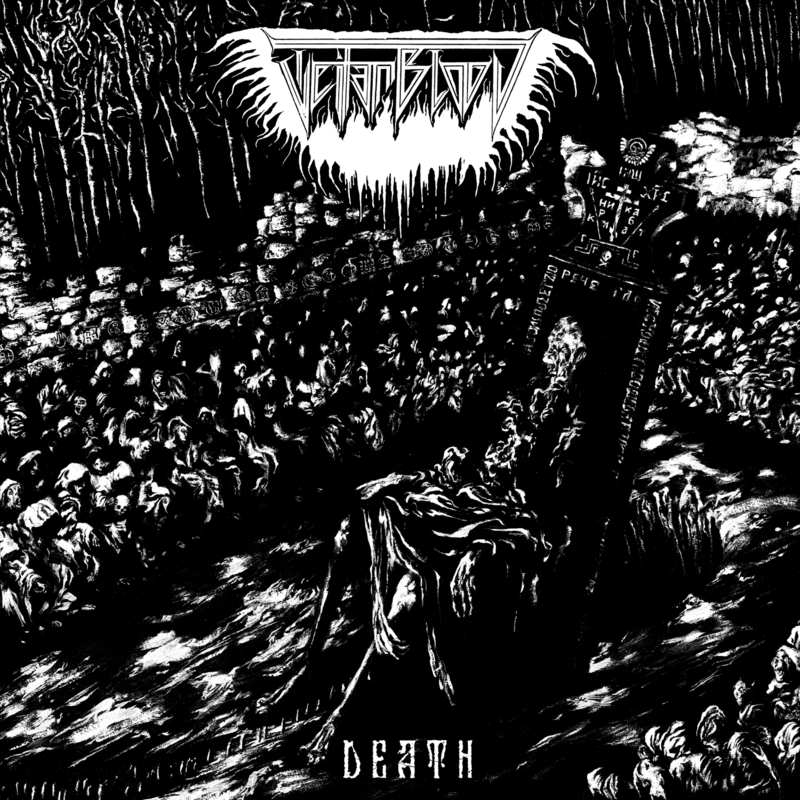 The riffs are well-recorded and quite catchy in most parts, something that is quite important to me in black metal since usually they are repeated quite often throughout a song. In the final part of the last song, Kalmanvesi, there’s actually a pretty cool solo that you should definitely keep your ears open for. The drums are overall well done except one minor gripe: the bass drum is almost inaudible on two out of the three songs. A fact that one can excuse since it’s a demo and probably recorded with a single mic or two at best…but it’s something I would love to see fixed on future releases. I also noticed the drum being off-rhythm in some longer passages, something I don’t mind much since the beats themselves are interesting enough for me to ignore such minor mistakes. Last but not least, the vocal department. This duty is shared between the two guitarists; with one doing the regular screams and the other one doing the more high-pitched ones. Both variants are sung with a sense of desperation and passion, so perfectly fitting to the theme. Speaking of which: the lyrics are entirely in Finish and mainly about the life and history in Tavastia, so heads up to those that are into that part of world history. That pretty much sums it up on my behalf. I say you should give this demo a chance if you are even vaguely into black metal or if you want to discover a new genre through a young band with quite a lot of potential…plus it’s for free. Be sure to check out Balegard‘s Facebook page where you can find a download link to their demo and more information about the band itself. Below you can find my favorite song Hardaler. Read you next time! You don’t have to be my number one stalker (you know who you are) to know that, at least nowadays, I mainly listen to metalcore and things that go into that general direction. However, I pride myself in the fact that I listen to a lot of different genres and that I can usually at least draw one aspect out of each one of them that keeps me interested. I actually plan on writing some more “special” reviews in the future, but I don’t want to promise anything. Today, however, I want to write an unusual review about an album that some people regard as one of the more unusual ones out of that genre. Before I get into that I’d like to preface it with a warning of sort: only about 75% of the following paragraphs will be about the actual music, the rest is sort of a personal reason as to why I love this record as much as I do. 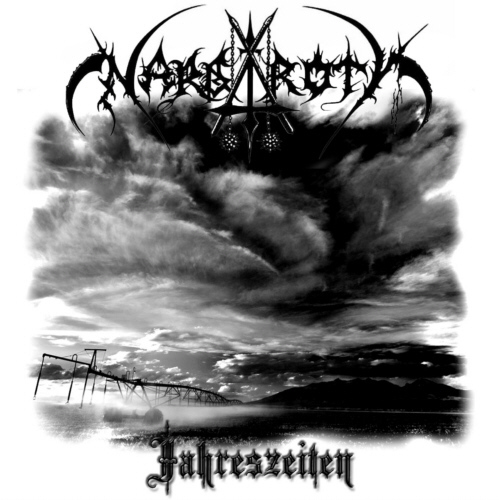 If you haven’t deduced it by the title or the fancy picture yet: I’m going to be talking about Nargaroth‘s Jahreszeiten which was released in September 2009. Those of you that are either fluent in German or have a vague knowledge of it will know that the title of the album stands for “seasons”. The songs are named after the four seasons in chronological order: Frühling, Sommer, Herbst and Winter. The general concept being that each song is supposed to evoke certain feelings associated with these periods. 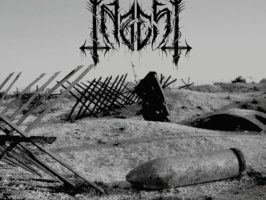 The first track fascinates me a lot since it’s full of antagonisms in form of a spoken word in German by Ash, the artist formerly known as Kanwulf and the only member of Nargaroth. To delve into it too much wouldn’t do it justice so I advise you to check it out for yourself, I for one can identify with more than one sentence from it. After Prolog, the album starts off for real with a very atypical riff that I remember captured my attention right off the bat when I first listened to it. Many people mockingly refer to it as a fun fair melody since it’s a really cheery melody…which is exactly what it’s supposed to be since it describes the joyful feeling that people generally get as spring begins to drive away the cold weather. The song then transgresses into a slightly more dramatic tone before ending with the same happy tune. If by this point you have not turned off the song you have either nothing else to do or you have grasped the concept of the whole thing. I hope it’s the latter since if you keep that in mind throughout your listening session you will get a lot more out of the experience. Instead of taking apart every single song I prefer to leave it up to you to make up your own mind. However I want to say a few things about the general production and lyrical content: the production is, for a black metal record, very clean which is one of the things that amaze me most. 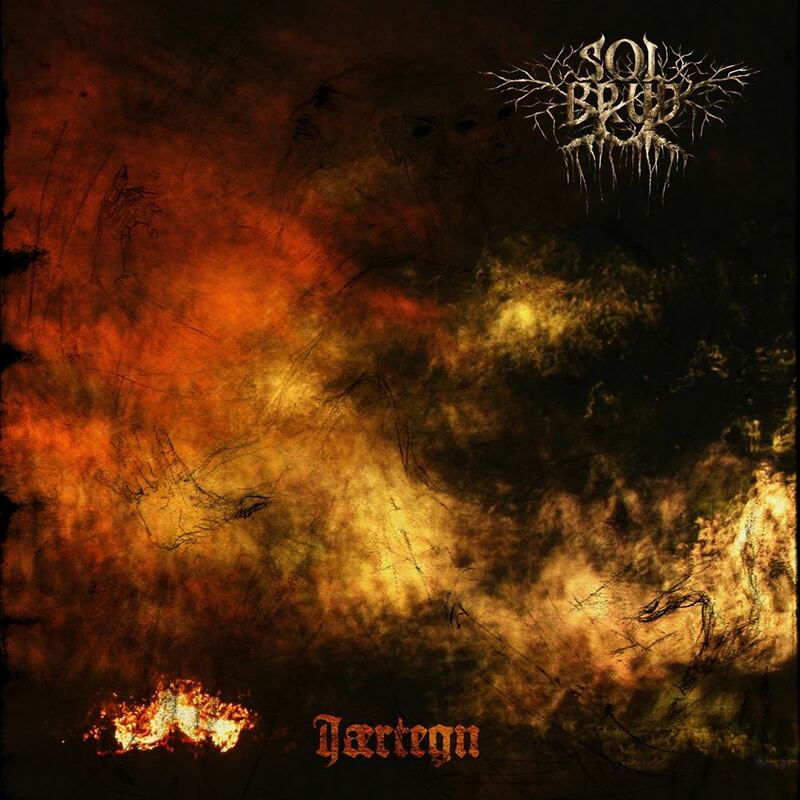 Because even though it’s probably as far from the much acclaimed Black Metal ist Krieg as it can get in terms of “grittiness” it still manages to be aggressive and raw in the parts where it is supposed to be, mainly so on Winter. In terms of lyrics it’s full of metaphors, as is usually the case on Nargaroth songs, which are related to the artists personal past and which, I must admit, I don’t understand most of the time. This concludes the main review and if you don’t feel like reading a bit about my own reasons for liking this record you may stop here. But be sure to check out the song below and head to the official website where you can buy the CDs and get recent news. If however you want to continue, there’s more below the video. In the same year as Jahreszeiten was released I had to be hospitalized in December due to a medical emergency, so to speak. It was only a brief stay of two nights and since I generally don’t like hospitals as well as the visits there, I decided that I didn’t want any visitors. On the first night I slept peacefully and rather early since I was to go into surgery the day after. I opted for local anesthesia as it was only going to be an incision of about four centimeters and the whole thing went by without any greater complications…well, apart from the fact that I caught a cold in the operating room. On top of the fact that I don’t like hospitals very much I’m also not a fan of painkillers so most of the time whenever my IV drip was empty I didn’t contact the nurse, nor did I ask for any pills or whatever. The cold however didn’t care much about me being a bit special in that area so I was coughing and sneezing like no tomorrow; pain ensued. Yet, instead of pussying out I simply did the one reasonable thing: I listened to music. And I’ll let you take a wild guess which album I listened to from 1AM to 4AM in a dark hospital room in a mild state of delirium of pain coupled with a slight high from the remaining effects of the anesthesia and IV drip. And this is the story behind that album. Maybe I’ll do something along these lines in the future, if inspiration strikes. 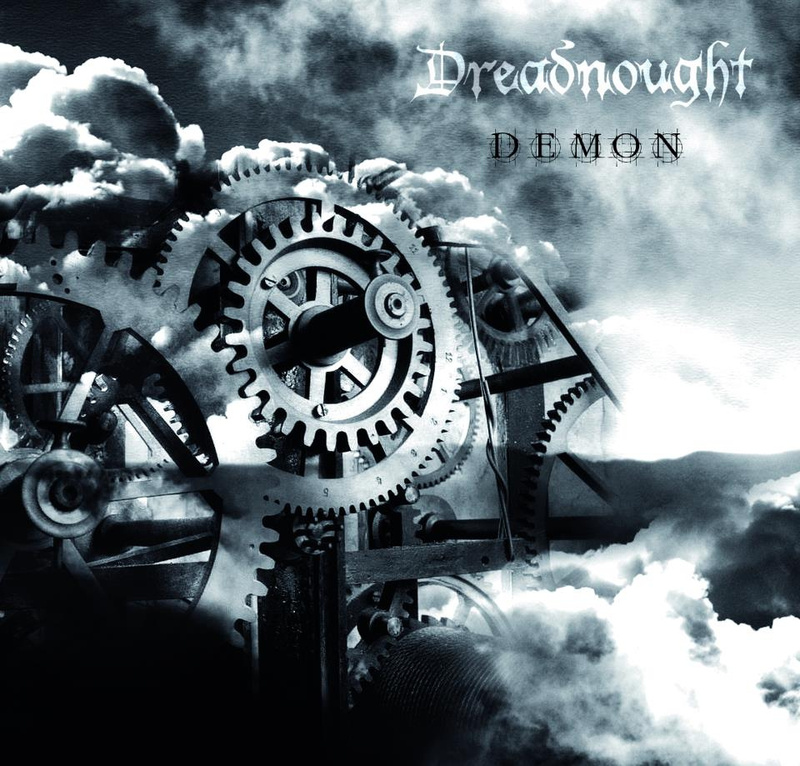 To most Luxembourgish metalheads that visit local shows the name Dreadnought will at least sound familiar since they’ve played quite a few shows in recent times. Now they’re finally here to invade your living room with their demo Demon which they released on June 16th! For those of you that don’t know: Dreadnought play melodic black metal paired with thrash riffs. Now, as you might have noticed from my previous reviews I mainly listen to metalcore nowadays and while I’m not uninformed about other genres, my knowledge is limited to a certain extent. Which is why I have to say that the combination of those two genres sounded weird to me at first but my fears were soon cast aside. It actually adds quite a nice twist to the, in some cases, boring “let me write one riff and repeat it for the rest of the song with a little variation here and there” approach that some more traditional, so to speak, black metal bands have. The demo starts with a short acoustic intro and then kicks into gear with, what my ears seem to identify as, a completely untriggered drum and a rich but in no way overproduced guitar sound. That sentence might come across as negative but it actually makes the album sound way more natural and raw, which is exactly what they intended to do. Not every snare, tom or base hit sounds the same and in some parts I noticed that the beat was slightly off but, even though I love big (over)productions, it just adds so much more charm to this little seven song endeavor. 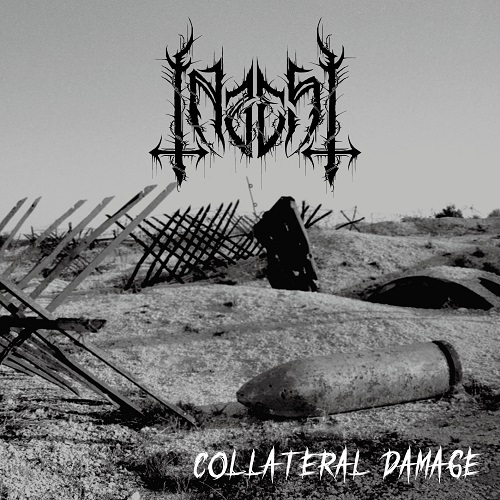 The guitar front is, as mentioned, packed with diverse riffs that alternate between the “classic” black metal-type type and the heavier thrash type. The bass is also easily audible throughout the whole demo which is always a plus for me since it generally tends be undermixed on other albums. The vocal duty is fulfilled by the Kraton singer who sings in a more screechy voice to fit the genre and I can honestly not find anything bad about his performance. The only thing that bothered me was that I kept trying to think of a voice that his reminds me of but I couldn’t quite come up with one except maybe Satyr on the older material of Satyricon…but don’t quote me on that one. Be that as it may: he doesn’t need to be compared to anyone and stands his own ground quite nicely. All in all I’m impressed by the quality of both the songwriting as well as the recording of this quintet’s first effort since it’s entirely self-produced and I’m looking forward to their first non-demo release to see what else they can come up with. Hopefully more Luxembourgish songs à la Hänk dech op since that’s something that’s been missing for a while in our metal scene in my opinion. Be sure to check the band out on Facebook and listen to their album below.